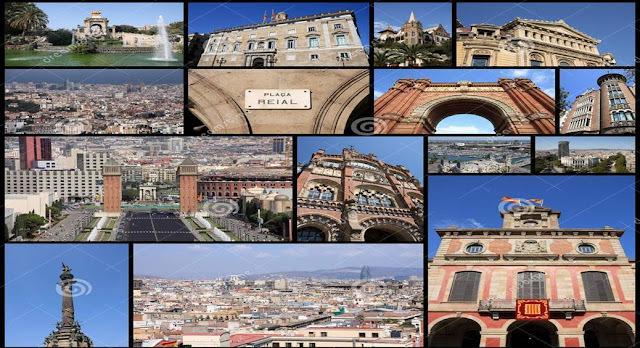 About Spain:- Spain officially the Kingdom of Spain is a sovereign state located in southwestern Europe, with a small section of its territory located on the African continent. Its mainland is bordered to the south and east by the Mediterranean Sea except for a small land boundary with Gibraltar; to the north and northeast by France, Andorra, and the Bay of Biscay and to the west and northwest by Portugal and the Atlantic Ocean. Along with France and Morocco, it is one of the only three countries to have both Atlantic and Mediterranean coastlines. Spain is a democracy organized in the form of a parliamentary government under a constitutional monarchy. It is a developed nation with the world's fourteenth largest economy. It is a member of many International organizations such as the United Nations (UN), the European Union (EU) etc. Spain has a capitalist economy which is the 16th largest worldwide and the 5th largest in the European Union. Spain is the third country in the world with the most World Heritage Sites. It has been home to many renowned names and faces in the world of Literature, Arts, Architecture, Philosophy, Sports and Science.